In late 2016, I was diagnosed with an MRSA infection in my lower leg. It was an absolutely terrible experience and one that I spent hours on the internet researching and learning more about. I desperately wanted to learn more about all staph infection treatment & recovery information. Unfortunately, I felt like I read the same things over and over again. What I really wanted was pragmatic answers to some of my most burning questions. Essentially, how do I get better faster? Below you’ll find a conglomeration of my research, first-hand experience, and advice. Not assuming you know for sure you have a staph infection, below are some really important questions to ask yourself and your doctor when you first start this process. How quickly is the infected area progressing? In my case, it was light speed. I woke up with a bruised feeling on my shin, that in a matter of hours became a crippling, throbbing sensation in the same area. The speed of how pain and redness/swelling progress will tell you a lot about the severity of the infection. Is there a point of entry? Guess what. My infection (which was terrible), had no real point of entry. The doctors said it was rare but can happen from time to time. Don’t be fooled into thinking that because you don’t have some kind of pulsing open wound that you can’t have a staph infection. This came on very strong after the pain got really bad. I brought this up to my doctors a lot in the first few days, because all of my research told me that antibiotics should have been curtailing these things (THEY DIDN’T), and that worried me. If I had not had continually brought up that I was still having these symptoms, I don’t believe the doctors would have treated me as seriously, and who knows what could have happened to me. What did the doctor say? Did you get a timeline? This was critical for me in the beginning. Upon having my suspicions of an infection confirmed, the doctor wrote me a prescription for Bactrim. I asked him how quickly could expect results, but went further than that (thank God). He said that it may take 24-48 before I see improvement; however, I asked is it possible for it to get worse before then. He then said, after about 3-4 hours it should stop getting worse. This was critical for me, because it did get worse, and I went back the hospital that night for an additional shot on another antibiotic. I asked the doctor the same questions again, and ultimately, this is what led to me being in the hospital on an IV for treatment; as I was able to act quickly as the infection was spreading in-spite of my previous treatments with antibiotics. What antibiotics did they put you on? They weren’t sure of what type of staph I had, so they started with Bactrim. After 24 hours without improvement (and it getting worse), they gave me a shot of Rocephin. Finally, I had to do an IV of Vancomycin for 3 days outpatient to ultimately get me back on track. I actually did all of these, but quickly learned that while the infection was still present that compression was making it worse. Ice seemed to just be a pain-reliever. The doctors said it offered no medical benefit. Were there any additional supplements to your treatment? I took these probiotics while taking all antibiotics because the antibiotics I was on were very strong. Ultimately, I learned later on just how devastating that kind of treatment can be on your body. Did anything else help with treatment? I usually hate taking anti-inflammatory drugs, but in this case I felt they were necessary. I took them consistently until much of the irritated skin had went away. I noticed when I didn’t take them that it felt like recovery was slower. What was the total recovery time of your staph infection? Did anything aid in the recovery once the infection was gone? I elevated my leg and wore a compression sleeve when I slept. In my case, with an infection in the leg, getting the excess fluid out was a major chore. I thought I was going to have a fat elephant leg for life. The compression and elevation at night seemed to speed up the process (but it did take a while). 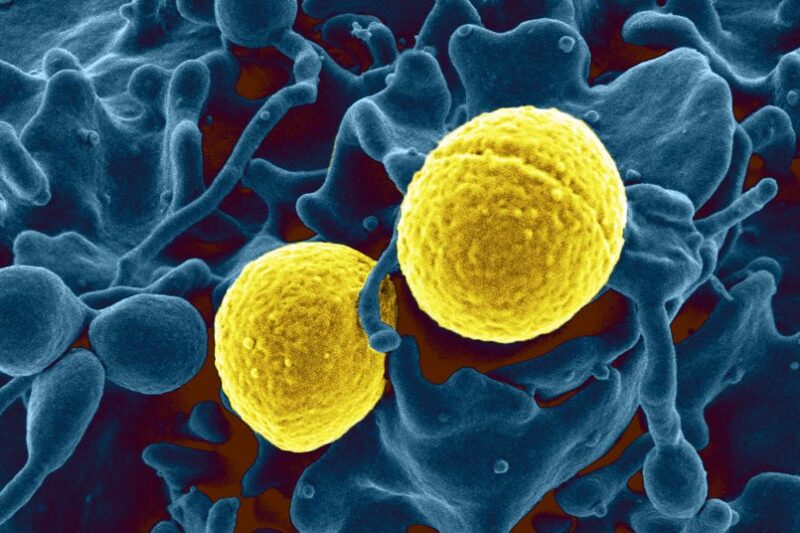 How did you prevent staph from re-occurring? This was my nightmare. I kept the area clean religiously. I also treated my skin regularly with tea tree oil (it’s a known anti-microbial for the skin). Additionally, I tried to keep the circulation going there by doing exercise, elevation, and ice. Apparently, this is a big factor in recurrence. If circulation stops the infection can crop back up. I am an open book and happy to answer any additional questions you might have on the subject. I spent days on end in the hospital asking doctors questions and doing research. I am happy to share my knowledge in any way I can. Leave your questions in the comments below. Prev Did I Dislocate My Shoulder? thanks to dr omomoh who cared me of staphglococus and ghonorhea infection. with his herbal medication, i tried all sort of medical antibioties and it yielded no result, until i came incontant with dr omomoh,and he adivinistered his herbal medicationon me. I AM KELLY EBE, I SUFFERERD FOR STAPHYLOCOCUS FOR OVER FIVE AND HALF YEARS, I WENT TO DIFFERENT HOSPITALLS AND DIFFERENT HERBAL HOMES, TO NO AND VEIL, UNTIL A FRIEND RECOMMENDED DR OSAZE HERBAL HOME TO ME, AND HE ADMINISTERERD HIS HERBAL MEDICATION ON ME, WITHIN THREE WEEKS AND SOME DAYS I WAS CURED. IN CASE YOU ARE SEFFRING FOR A SIMILAR DIESEASE.